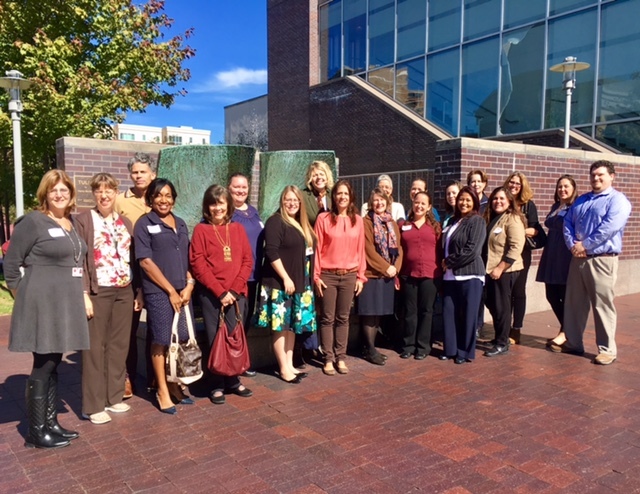 Over the past year ASHP staff have been working with 14 faculty members from Reading Area Community College to assist them in incorporating Latino History and culture into their courses. As an outgrowth of ASHP's Bridging Historias program, the Conexiones program featured presentations by leading Latino history scholars Virginia Sánchez-Korrol, Lori Flores, and Pablo Mitchell. Faculty participated in pedagogy workshops, online reading discussions, and a full day seminar in October in New York City where they met with curators and directors of Latino cultural institutions, including the Center for Puerto Rican Studies (Centro) at Hunter College, the Dominican Studies Institute at City College, the Jaime Lucero Mexican Studies Institute at Lehman College, and El Museo del Barrio. In the second year of the program the faculty will meet with local community leaders and experts and share the teaching modules they have been developing.